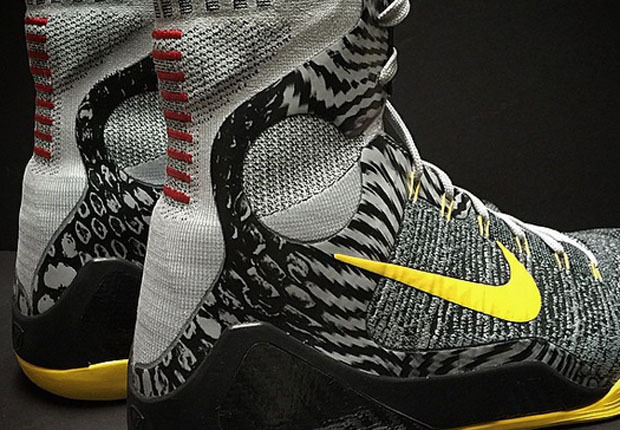 Kobe‘s been sidelined for the past couple of days, but that’s only given the internet time to catch up to all of the Kobe 9 Elite PEs the man’s been wearing throughout this 2014-2015 NBA Season. 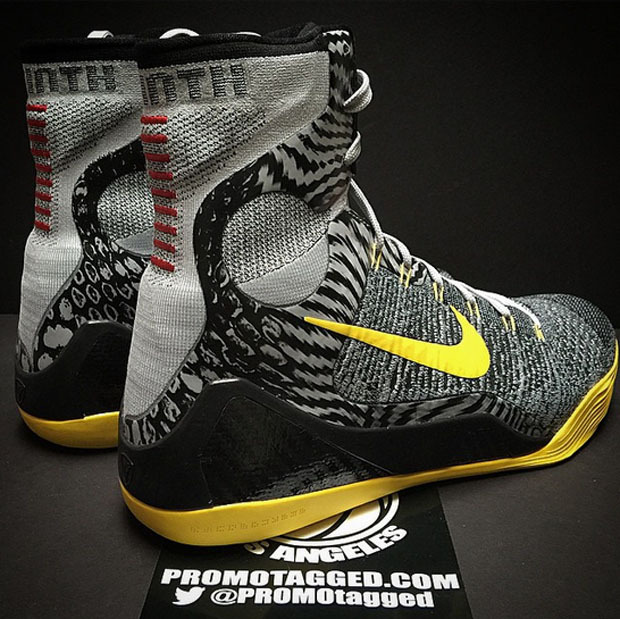 One of the more memorable looks spotted during our NBA Feet recaps has been this Nike Kobe 9 Elite “Tour Yellow” PE. The shoe features a Detail-esque grey Flyknit construction while an array of black and grey swirls hits the ankle support in a look reminiscent of a premium, more supportive carbon fiber. 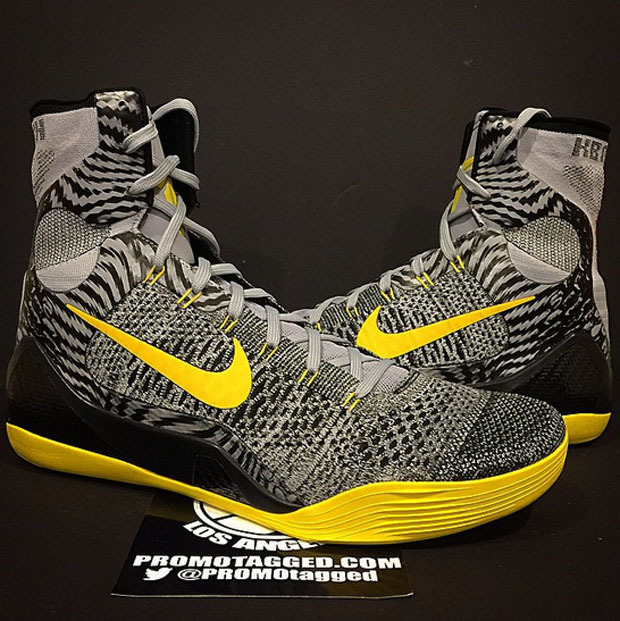 Throw in dashes of Tour Yellow on the branding, Dynamic Flywire, and outsole, and this is one of our favorite Kobe 9 PEs this year. Check out more below.